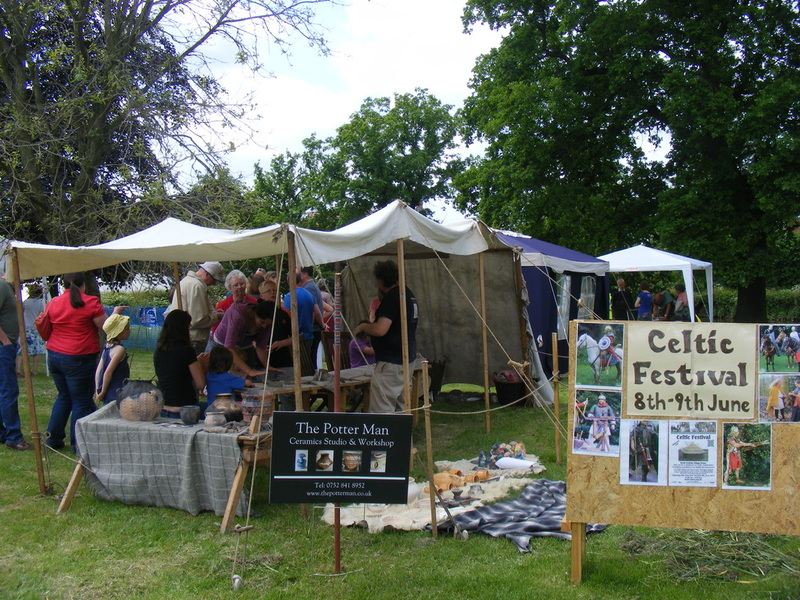 I run Hands-on Pottery Workshops and Demonstrations at Historical Re-enactment events through-out the UK. 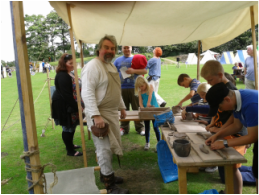 Whether your event is Roman, Saxon, Viking, Medieval or Tudor, I can provide a fun, inclusive activity for visitors of all ages and abilities. Historical re-enactment has been a big part of my life for over 20 years and it has enabled me to visit and take part in some wonderful (though sometimes very wet and windy) events across the UK. 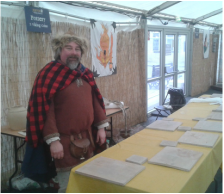 I have been a soldier in the Roman infantry, an invading Viking raider, a member of a Saxon war band and I have fought and fallen along side King Harold on Senlac Hill. Just as important as the military aspect of re-enactment is the depiction of domestic life and the crafts of our ancestors. Through "Living History" we can maybe catch a glimpse of every day life 500, 1000 or 1600 years ago. 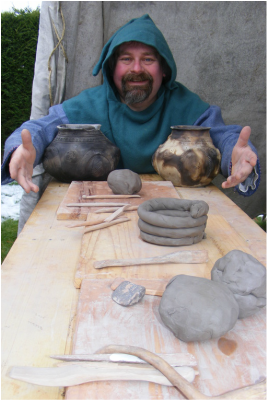 I have taken my Hands-on Pottery Workshops back to the Late Roman period, through the "Dark Ages", Medieval and Tudor, with occasional forays into the 17th, and 18th century. 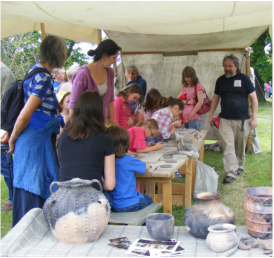 During a Hands-on Pottery Workshop I can accommodate up to 10 people at a time around wooden tables under a large awning. 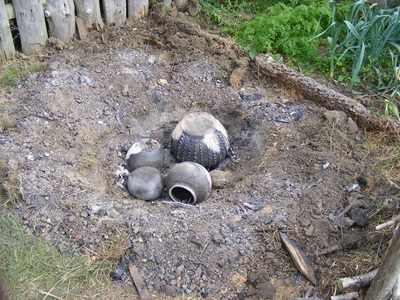 Visitors normally spend 20 to 30 minutes to make their coil pot, which they can then take home with them. 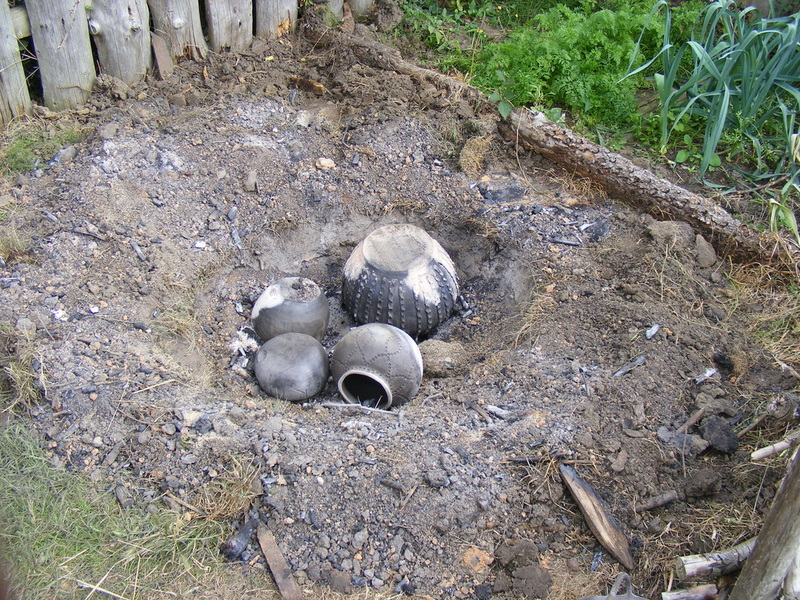 I use proper clay which will dry naturally over 5 to 10 days. 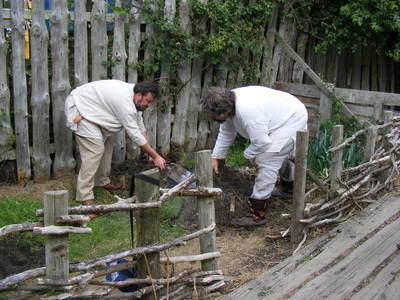 Visitors can then paint and varnish their pot at home if they want to. 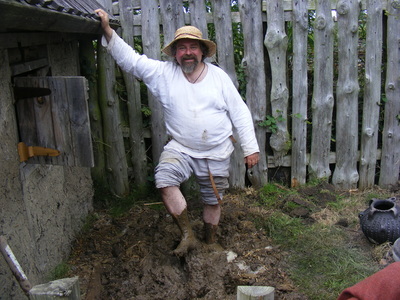 I can wear appropriate kit for the historical period being represented and all tools used during the workshop will be made from wood, bone & horn. If you would like to discuss your particular requirements for an event please contact me for an individual quote. 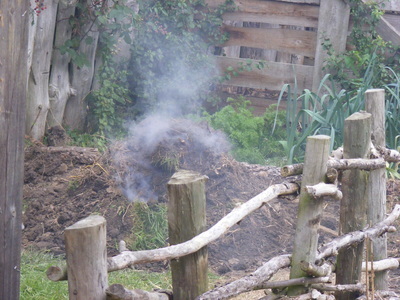 Building a clamp kiln at Dane Law Dark Age Village at the Yorkshire Museum of Farming, Murton, York. 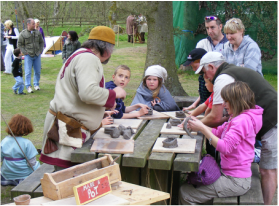 as a re-enactor, trader & more recently running popular Pottery Workshops.